This silver tone Irish costume jewelry bracelet features Claddagh charms. This Irish costume jewelry bracelet features three Claddagh charms that are enhanced with green enamel accenting on the crown and wrists. 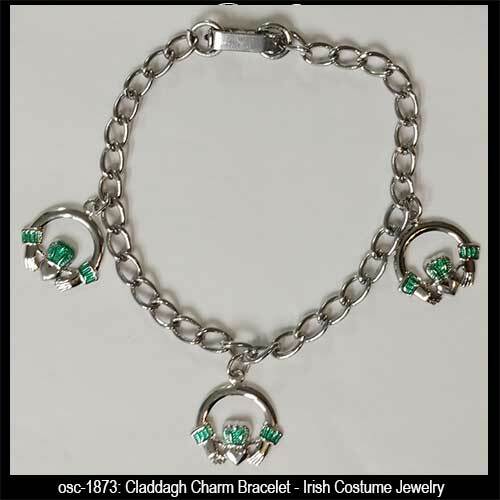 The Claddagh costume bracelet measures 7" long and the charms are 5/8" wide. The silver tone metal Irish costume jewelry is made in the United States and it is gift boxed with a Claddagh legend card; complements of The Irish Gift House.